Join us for a special Carlos Bulosan centenary celebration at JANM! “The Writer is Also a Citizen,” is a FREE event, and will take place on Sunday, October 27, 2013 at 2PM in the Tateuchi Democracy Forum. 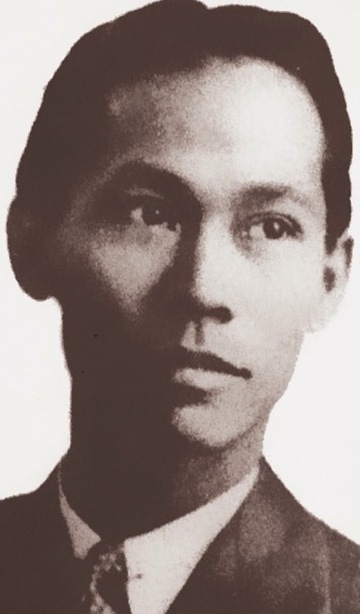 Carlos Bulosan (1913-1956) was a poet, novelist, essayist, fiction writer, and labor organizer who left the Philippines at age 17 to look for work in the U.S. What he found was racism, low-paying jobs, and a brilliant and unexpected literary career. In conjunction with the closing of the exhibition, I Want the Wide American Earth: An Asian Pacific American Story, whose title is taken from one of Bulosan’s poems, five Filipino-American writers—including poet Barbara Jane Reyes (Diwata, For the City That Nearly Broke Me) and playwright and novelist Noël Alumit (Letters to Montgomery Clift)—will read from Bulosan’s diverse body of work and from their own in celebration of the centenary of this seminal writer, worker, and citizen. Also featuring Rachelle Cruz, Giovanni Ortega, and Chris Santiago. Don’t miss this celebration of Carlos Bulosan’s legacy, and the closing of the exhibition, I Want the Wide American Earth. If you haven’t seen the exhibition already, I Want the Wide American will close on October 27, 2013, so be sure to catch it before then! Also, if you haven’t had a chance to watch Our American Voice, the special two-person performance presented in collaboration with East West Players, the final two performances will be on Saturday, October 19 & Saturday, October 26 at 1PM. One of the six stories included is an excerpt from ALLOS by Giovanni Ortega which presents the story of Carlos Bulosan. For more information on the exhibition, visit janm.org/wide-american-earth.